Excitement would be an understatement of how MONBEBEs felt before the start of the concert. 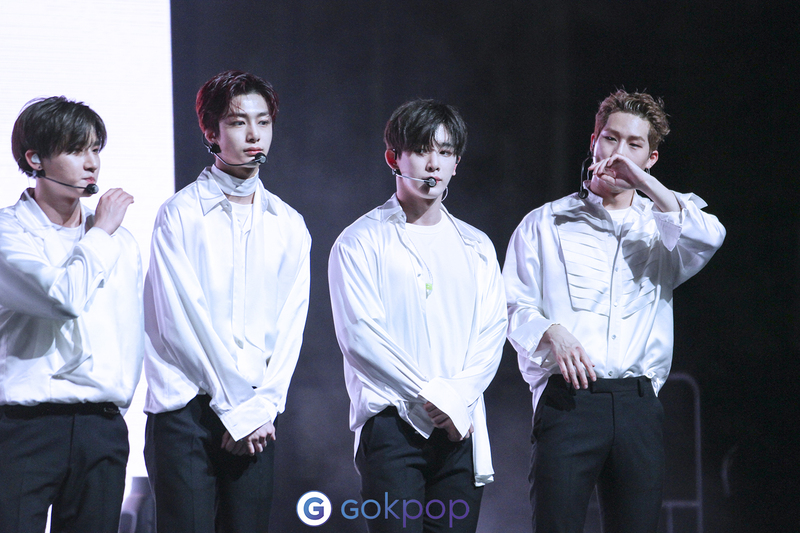 On the 3rd of March, MONSTA X held their SPECIAL SHOW for the HSBC Women’s World Championship at The Coliseum™ Hard Rock Hotel Singapore, Resort World™ Sentosa. The extremely anticipated concert started off with a bang, with the boys performing their first song of the night ‘Beautiful’. 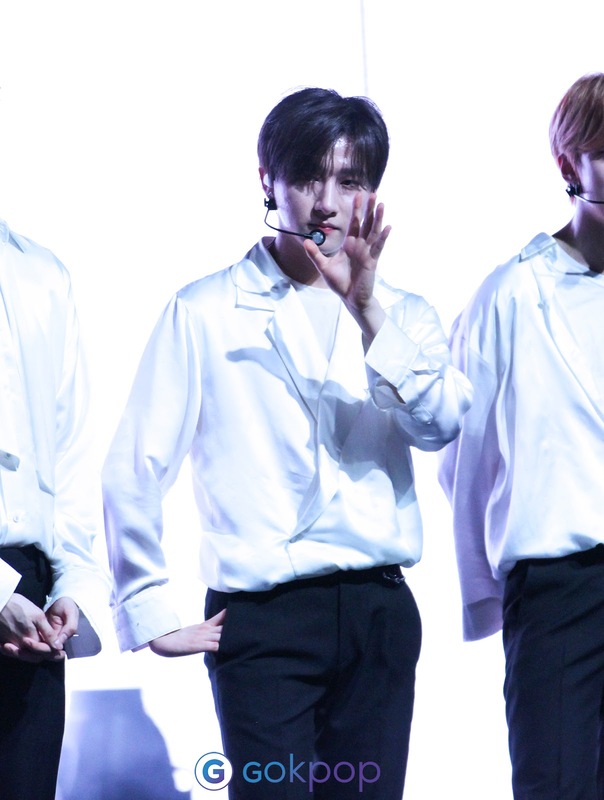 Dressed in white and black, they looked like princes that were ready to capture the hearts of the fans that night. 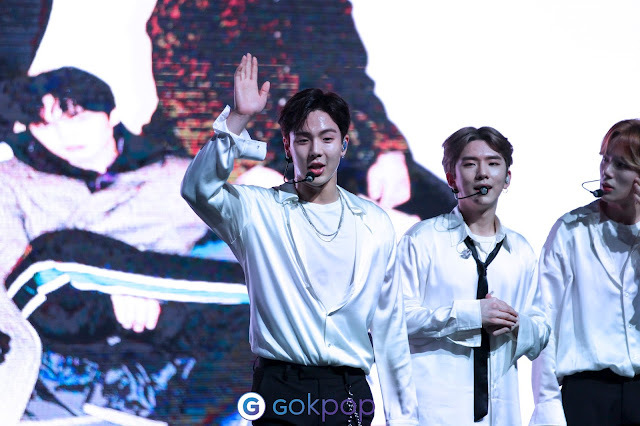 Launching a powerful start to the event, Jooheon couldn’t help but tell Singapore MONBEBEs to keep the energy level high, as their screams and fan chants ensued on a greater level after his speech. Basking in a welcoming atmosphere, we were ‘Honestly’ head over heels for all seven of the boys,as they showcased their ‘White Love’ for us. 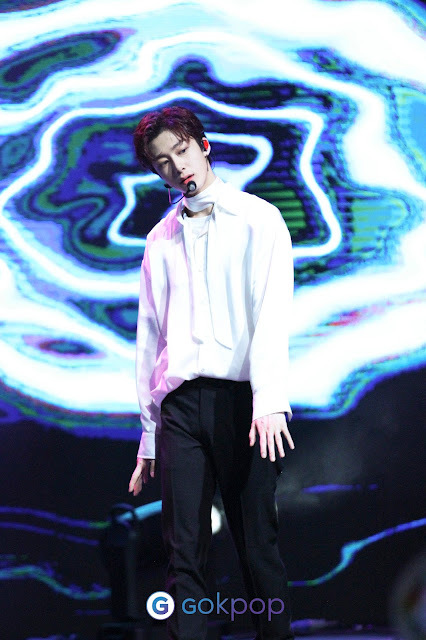 After a few striking performances, MONSTA X took a break and engaged in conversations with the MONBEBEs present through a segment called “MONSTORIES”. Flashing old group photos on the screen, they reminisced about the past, and commented on how much each of them have grown. Such pictures include shots from “MONSTA X-Ray”; their fashionable green jumpers would be recognisable to all fans. They also flashed a photo from their first win, as they talked about the happiness and thankfulness in their hearts from that day. Back into the game, the boys prepared to perform ‘From Zero’, which was more commonly known to be performed by only Wonho and Hyungwon. Garnering all the attention of MONBEBEs, they showcased the choreography and vocals of ‘From Zero’, now starring all seven of them. ‘White Sugar’ pursued right after a change of clothing; the boys were now donned in black suits, as they threw candy into the crowd. The boys remembered to throw the sweets to every corner; some of them tried to throw them as hard as they can to reach the MONBEBEs at the back of the standing pit. Surprising the fans yet again with another segment named the “MONCASSO” Contest, they were challenged to showcase their hidden drawing skills. The question on the screen flashed in an instant, and it read: “Right now! What would you like to eat with MONBEBEs? Shownu chose non-alcoholic drinks and Wonho chose ice cream! Despite their difference in answers, their intentions were the same; they wanted to share these cold treats with fans due to the hot weather (or should we blame it on the boys for the hotness?). Minhyuk chose the Korean dish Cold Noodles. Hyungwon chose prawns as he just really loves them, and I.M chose water, with an endearing reason behind it. He wants to water his flowers, who are the beautiful MONBEBEs! Nevertheless, the winner was apparent, and I.M took home the crown that night. With no prizes for the winner, the maknae soon found out that he “won” the chance of doing “aegyo” for MONBEBEs, and was in shock. “I’m not good at doing aegyo”, he says, before wowing the crowd with his cuteness while dancing to “Oppa Yah”. Wonho was summoned to showcase his “aegyo” as well, and MONBEBEs were truly fed well that day. 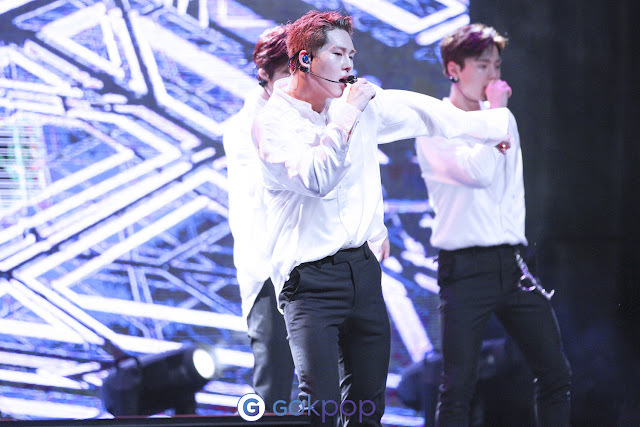 However, MONSTA X continued to astonish fans with their polished choreographies and humble personalities. The next segment required the boys to find out what songs are their fan favourites. A guy from the crowd answered ‘Beautiful’, and we were blessed when I.M was told to sing Kihyun’s line from the chorus in the song! 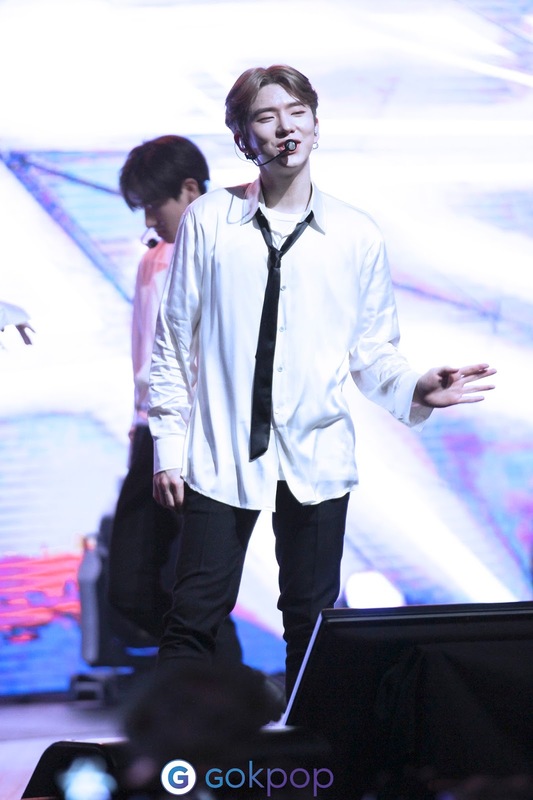 Serenading the fans with his honey-like vocals, the maknae proved to be a triple threat; one that was good at dancing, singing and rapping. Move over, we have a golden maknae over here! Time was ticking and MONBEBEs had a surprise for MONSTA X too! Showing a fan made video made by Singaporean MONBEBEs, the boys had their eyes glued onto the screens while a cake was rolled out onto the stage to celebrate someone’s birthday. The special and lucky member was none other than Wonho, whose birthday fell on the 1st of March! Shaped like a pot filled with ramyun, Wonho was ready to dive into cake heaven filled with chocolate filling. Happy belated birthday Wonho! After the birthday saga, MONSTA X was not ready to say goodbye to MONBEBEs just yet. 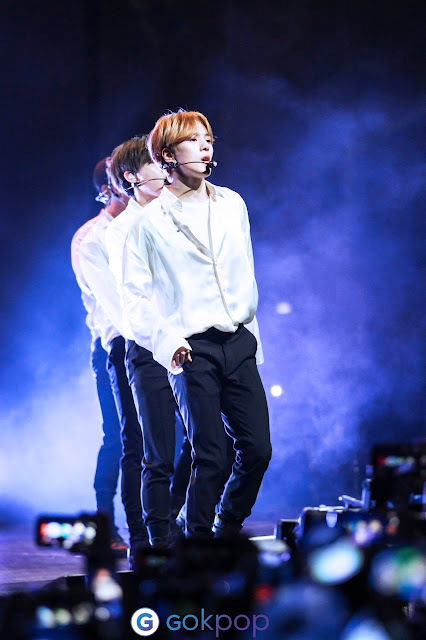 Performing quintessential tracks ‘Hero’ and ‘SHINE FOREVER’ and ‘DRAMARAMA’, their slick choreography and sturdy vocals were burning up the stage one song at a time. and engaging in water fights, we were privileged enough to watch their bromance blossom on stage, and wish for them to always be together, forever. Taking their last bow of the night, MONSTA X promised to come back to Singapore in the near future, and hopes that their concert in Singapore would be indoor next time as they want MONBEBEs to be in a more comfortable setting. The night was filled with irreplaceable memories, and will be an experience of a lifetime for all MONBEBEs that were present. 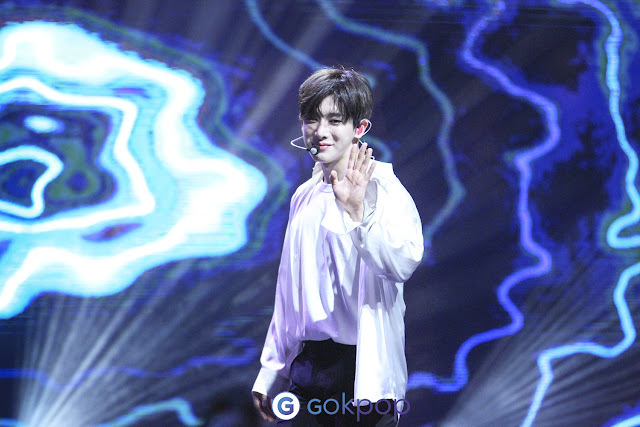 Follow GOkpop Singapore Facebook page for more pictures.